The speed of the vehicles involved. The safety features of the vehicles. According to the US Department of Transportation there were 256 million cars and trucks on US roads in 2015. See the Bureau of Transportation Statistics for more information. Most vehicle accidents involve passenger cars and pickup trucks. There are simply more of these type vehicles on the road. Therefore, they are statistically more likely to be involved in a collision. Similarly, the more cars that are on the roads in a particular city, the more motor vehicle collisions will occur. Jackson (population 175,437) is the largest city in Mississippi and Birmingham (population 212,237) is the largest city in Alabama, and vehicle accident occur in these cities daily. 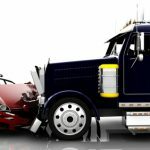 18 Wheeler accidents are often the most severe type accidents. The large size and weight of these vehicles can cause a tremendous amount of damage when they collide with other vehicles. They also require a further distance to come to a stop due to the size and weight of the vehicles. Some 18 wheelers carry hazardous materials as cargo, which makes them extremely dangerous when an accident occurs. These drivers of these large vehicles are more reliant on using their mirrors since they have large blind spots. The large trucks require the drivers to have a special commercial drivers license to operate them. The drivers are required to undergo driver training, and comply with state and federal regulations. Motorcycle accidents often result in severe injuries or even death due to their small size and weight. Motorcycles are also capable traveling at very high speeds and accelerating very rapidly. The motorcycle provides virtually no protection to the driver when a collision occurs with another vehicle. I personally ride a motorcycle, so I understand the ins and outs of how dangerous a motorcycle accident can be. 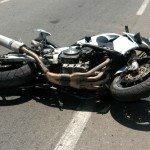 Often when a car or truck hits a motorcycle, the driver of the vehicle states that “I never seen them.” Due to their small size, motorcycle drivers need to pay extra attention to the other drivers and always be aware of your surroundings. In a battle between a pedestrian and a motor vehicle, the pedestrian loses every time. It is important to always keep a lookout for pedestrians around areas where cars and pedestrians both travel. Places to pay particular attention are crosswalks, bike routes, and any areas where people often exercise near roads or streets. Hit-and-run accidents occur all too often. This type of accident occurs when one vehicle collided with another and then drives away from the accident scene. It is a criminal offense to leave the scene of an accident; however we see it happen all too often. Generally, the driver who was hit is left not knowing who the driver the other vehicle was. When one vehicle is hit by another vehicle and the driver that caused accident has no insurance, you may be able to bring an uninsured motorist claim with your own insurance company. In Mississippi uninsured motorist coverage comes with an insurance policy unless it is specifically waived in writing. Following too closely: Following too closely, or “tailgating” is when you’re following too closely behind another vehicle in front of you and the other vehicle suddenly stops. Distracted driving: Distracted driving includes doing any activity that takes attention away from driving. The most common causes of distracted driving include texting while driving. According to Dr. Peter G. Fernandez, D.C.( Arthur of Neck Pain – You Don’t Want it, You Don’t Need It) , if you have warning of an impending rear-end collision, you should look straight ahead. Do not turn your head. Straighten your arms and grip the steering wheel with both hands, hard. You should brace one foot on the floor and the other foot put total pressure on the break pedal. Make your body stiff and brace yourself for impact. There were 1.5 million crashes and 570,000 injuries resulting from people using cell phones while driving. T-bone collisions often occur at intersections where traffic crosses both directions. These type collisions are usually caused by a driver running a red light or stop sign. They also occur when one vehicle is turning and fails to yield to oncoming traffic. These type of collisions can result in severe bodily injuries to the driver even at low speeds. If you, a family member, or friend is involved in any of the above different types of Motor Vehicle Accidents, you may have a Personal Injury claim. Call 601-202-1111 to speak to one of our experienced Injury Attorneys today for a Free and Confidential consultation. Do you have a Car Wreck Claim? What’s My Car Wreck Case Worth?